Discussion in 'AKB48 News & Releases' started by ForrestFuller, Nov 29, 2017. OSEN release a report about "Produce 101” making a return with a third season in collaboration with AKB48 to creat a girlgroup again. MNET responded "The contents of the article reported today are groundless." Produce 48 is a project that will combine the competition system of Produce 101, featuring viewers selecting which idols will debut, with the “idols you can meet” concept of AKB48, which performs in a designated theater for fans. Produce 48 will aim to form a global girl group. Mnet has teamed up with AKB48’s producer Yasushi Akimoto for the project, and they’re collaborating with him to prepare a show that will present new experiences to Korean and Japanese viewers as well as music fans. Mnet’s Produce 48 will be airing in mid-2018, and this AKB48 and “Produce 101” collaboration is said to be a program that will be on an unprecedented scale. " A source from MNET confirmed that "Ahn Joon Young will be leading Produce 48, a new program that will combine the competition system of Produce 101 where viewers select which idols will debut, with the “idols you can meet” concept of AKB48, performing in a designated theater for fans." NAVER ENTERTAINEMENT claimed that members of winning group can be in multiple groups at once (eg. Gugudan/DIA/WJSN during I.O.I) and be active as artists actress or variety. There are rumors of 5 year contract, but expected to be finalized less than that. Broadcast is confirmed for may. NAVER ENTERTAINEMENT released a report "48 female trainees from Korea and Japan will compete within their own countries respectively. The debut team will consist of 12 members with a combination of six members from each country. Voting rights for the Japanese members will only be given to Koreans. Likewise, voting rights for the Korean members will only be given to Japanese"
- The project will combine the Produce 101 voting system with AKB48’s “idols-you-can-meet” concept, which involves the idols performing live in their own theater. - The survival show will reportedly feature contestants from several of the agencies that participated in the first two seasons of Produce 101, as well as trainees from new companies. Soyou (ex-Sistar) will be taking part as a vocal trainer. 1MILLION Dance Studio’s May J Lee and choreographer Choi Young Joon will also participate as dance trainers. Mnet the contract will last for two and a half years. A source from the show told Xsportsnews that participants will receive 100,000 won (approximately $94) per episode. If they release music, Mnet will pay 1 million won (approximately $936) per song. Ballad singer and actor Lee Seung Gi will be the the national producer representative and main MC of “Produce 48”. A source from the industry told news outlet Ilgan Sports that a Japanese contestant named Miyawaki Sakura landed the center spot. 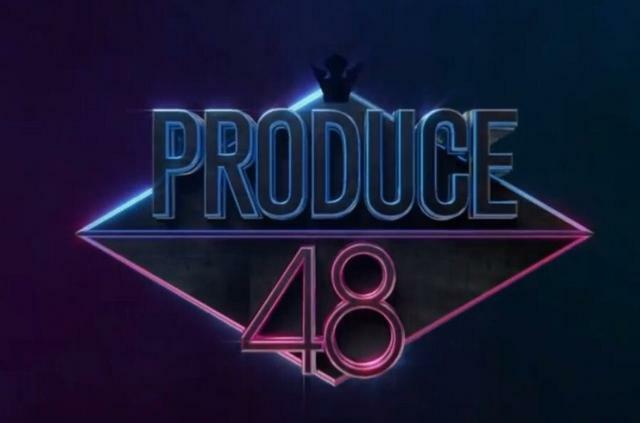 Industry representatives have reported that all 11 members of each group will be participating in the “Produce 48” recording on April 22. The official “Produce 48” website will open on May 11 at 12 p.m. KST, and the profiles of the contestants will begin to be revealed on May 11. It was reported that a drone fell during rehearsal. Two contestants suffered scratches after being hit by fragments of the drone and were immediately taken to the hospital. A source from Mnet told Xsportsnews that the first episode of “Produce 48” will air on June 15 at 11 p.m. KST. Interesting. This show will be in Korea or japan? Korean show or Japanese show ( based on that produce 101 concept)? Most likely a korean show on mnet which will have a simulcast on mnet japan. Do you think this will make other idol agencies follow suit? Although there were botched attempts in the past. Kinda wrong move from AKB..
Do we even know what this is going to be? Is there any information about this at all? So will the members be Korean? Like a sister group in Korea? Or will it be a Produce 101 Japanese version? Actually, Mnet itself has made botched attempts in recent past, Boy24 and Idol School are epitomes of survival show disasters. Not all of the survival shows work. Mixnine is failing wonderfully at the moment, and that should have some pull. To me, at the moment, this announcement brings more questions and queries than actual joy at its potential. I would like to see some more concrete information from the parties involved about what this is going to be like, what/who will be involved and the desired outcome, etc etc. All we have at the moment is the name of a potential show and the knowledge of what each element - Produce 101 and 48G - involves. I'm going to take a step back from making guesses about what could happen to wait to see what actually does. as of now, this can be anything! Audition show with Produce 101 format for new sister group (with korean members only). Not sure if idol theater would work in Korea, but if the show got enough hype, the winning members could attract enough people to come to the theater. 11 winning members for media senbatsu while the next 11 for theater job. Survival show with Produce 101 format with the inclusion of 48G members, for a Japan+Korea collaboration group. I reckon this would be more realistic. A collaboration group promoting for one year just like IOI and WannaOne.